Rhyme Revolution 2017 Day 7 ~ Author Sue Fliess ~ It’s NOT About the Rhyme! It’s NOT About the Rhyme! It’s not about the rhyme. It never is. Well, at least, it never should be. But what it always is about is the story. Or at a very basic level, it’s about the idea you’re trying to convey with words. Writers should think of rhyme as a mechanism or tool—just as illustrations, free verse, graphics, photography, or prose are all ways of telling a story. My readers ask me all the time, why do you like writing in rhyme? or why do you write in rhyme? And what I tell them is that I always first have an idea or concept for a story. I jot down those ideas, characters, or fragments. When I think there is enough to move forward with, only then do I decide on the best way to put that idea on the page. For me, many times it seems that rhyme fits, but other times, rhyme is not the answer. I’ve written many stories in prose that haven’t sold. Twenty out of my twenty-two picture books are written in rhyme. Which may only mean that I’m simply better at writing in rhyme than prose! One reason this is true is that rhyme forces me to boil the story to its essence more effectively and keeps me from getting too wordy. I like the challenge. It’s like a puzzle and I find it both fun and satisfying. Some find it constraining, and I can certainly vouch for that during revisions! When a critique group member or an editor requests a plot change—I am suddenly a prisoner to my rhyme scheme. Eventually l figure it out, but only because at this point I’m very comfortable writing in rhyme and have grown accustomed to the challenges it poses during revisions. Another reason I like writing in rhyme is that I’m a very musical person (you may have seen my song parodies about writing), and I think that’s why my brain gravitates towards rhyme. A rhyming picture book is like a song. And just like song lyrics must tell a story in 3 minutes or less, picture book writers must be able to tell their story in as few words as necessary. Rhyme helps me do that. So, when you are ruminating about a story, figure out all the parts of that story first. If you think it has staying power and you love the idea, pursue it. But I recommend writing it in prose first. Then once you have your story down, ask yourself if rhyme—or another writing mechanism—will serve the story better. If not, stay the course. If you think rhyme will make it more playful or fun or engaging, without giving you a migraine, by all means, give it a shot. You may have to play around a bit with the tools in your toolbox—and I encourage that. You will discover which way is the best way for you. But no matter how you choose to tell it, always keep your eye on the story. 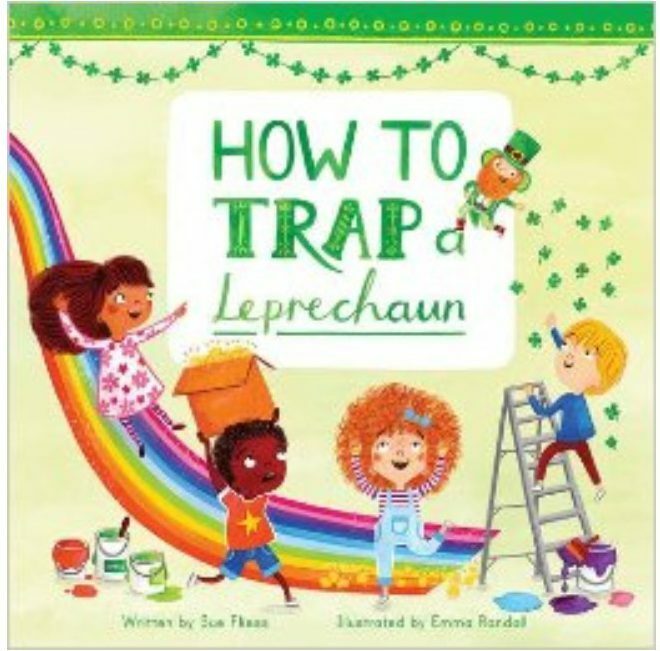 HOW TO TRAP A LEPRECHAUN, Sky Pony Press Watch the trailer. FROM HERE TO THERE, Albert Whitman & Co. Watch the trailer. 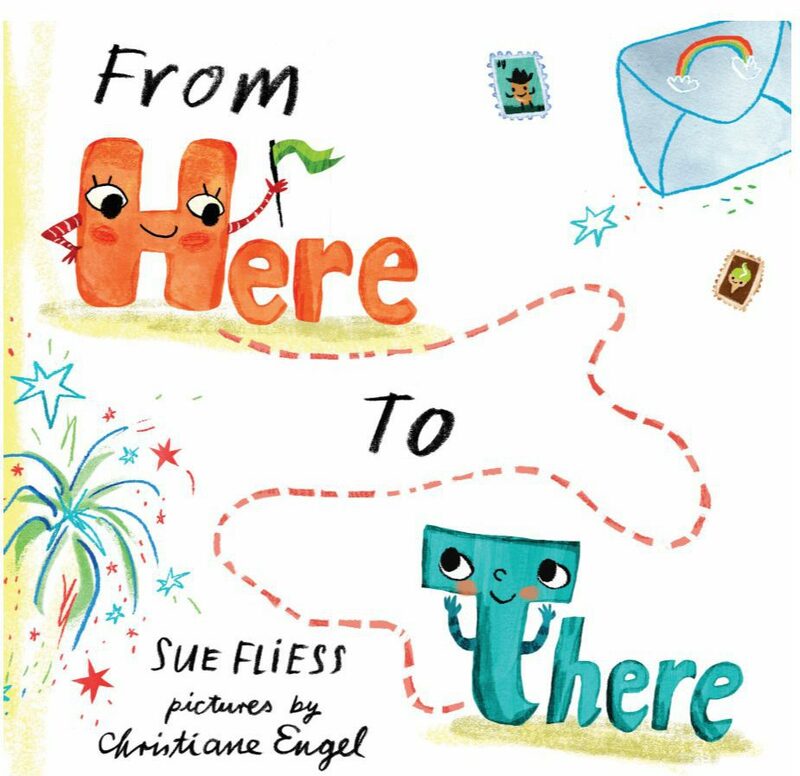 Sue Fliess (“fleece”) is the author of over 20 children’s books including From Here to There, A Fairy Friend, Tons of Trucks, Shoes for Me!, Calling All Cars, and many Little Golden Books. Fliess has also written for The Walt Disney Company. Her background is in copywriting, PR, and marketing, and her articles have appeared in O the Oprah Magazine, Huffington Post, Writer’s Digest, Education.com, and more. Her picture books have received honors from the Society of Children’s Books Writers and Illustrators, have been used in school curriculums, museum educational programs, and have even been translated into French. She’s a member of SCBWI, Children’s Book Guild of DC, and does book signings, school visits, and speaking engagements. Sue lives with her family and their dog Charlie in No. Virginia. Visit her at www.suefliess.com. Thank you Sue for sharing! 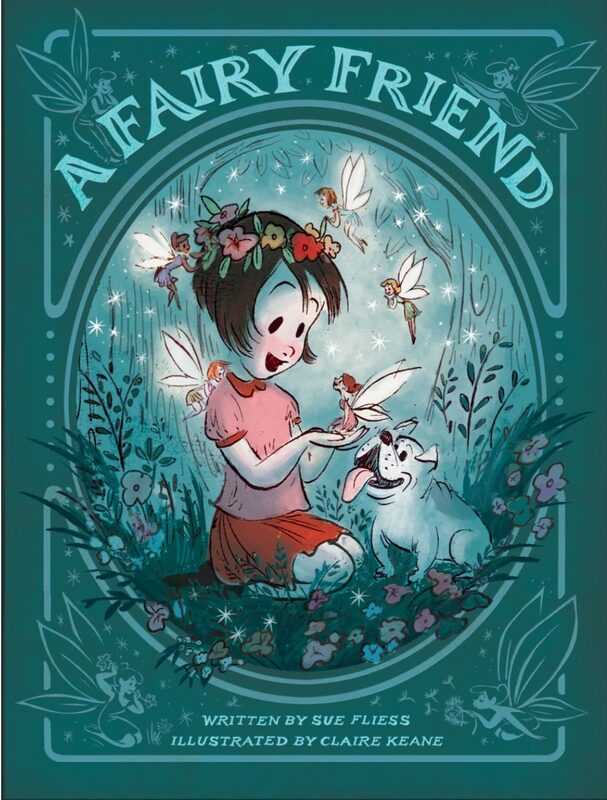 SUE: I came across “Fairy Friend” a few weeks ago, and FELL HEAD-OVER-HILLS IN LOVE WITH IT! A bulldog and fairies?–WHAT’S NOT TO LOVE!!!???!!! THANK YOU for sharing your writing wisdom with us, especially to ALWAYS remember story ALWAYS comes FIRST!!!! This is such great advice. I usually write in prose, but sometimes a story just begs to be told in rhyme, and I can’t deny my new baby anything. So long as it cooperates and allows itself to be manipulated into an honest-to-goodness story with plot and everything. Thank you, Sue. Great post! You were the first author I heard speak at a SCBWI event. Congrats on your success! Thank you, Sue. I do always try to let the story decide if it needs to be in rhyme or not. This is my first time doing Rhyme Revolution and it’s so exciting to “meet” so many other authors whose brains work the way mine does! I too love the challenge of writing a story in a few words as I can and rhyme helps me do that. Thanks for sharing your insights! Thanks for the great post. I love the focus on story. I love the notion of using rhyme to boil a story to its essence -thanks, Sue! Congratulations on your many big accomplishments! I was encouraged to hear that writing in rhyme is easier/ comes more natural for you because I feel the same way. Can’t wait to read your books! Thanks, Sue, for your informative and inspiring post! So true! Some manuscripts just beg to be written in rhyme. I’ve written a few not so good ones…hopefully continued practice will pay off and I’ll eventually get there! Now I want to head to the library to check out all of your rhyming books. I shall remember the words, “Writers should think of rhyme as a mechanism or tool . . . ” Thank you, Sue. ” Rhyme forces me to boil the story to its essence more effectively and keeps me from getting too wordy. ” I can so relate!! Twenty PBs published in rhyme. What a great accomplishment. I enjoyed your post. Yes, you have to have a good story and be different or the publishers won’t be interested.